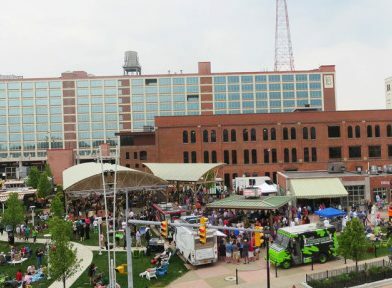 Join us for the weekly Food Truck Tuesdays (May – October, 5-8 pm) featuring 30 food trucks from Buffalo and Rochester, live music, Larkin Market, hula hoops, beer and wine. 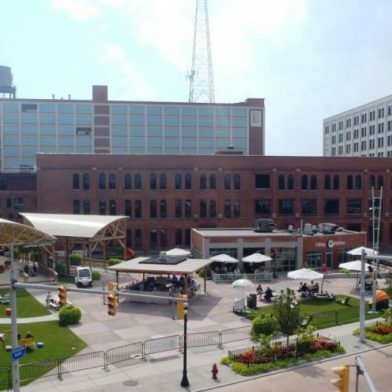 Larkin Square public events are presented by KeyBank and sponsored by Independent Health. They are free of charge with free parking. The Larkin Square Author series features local and national authors writing fiction and non-fiction. Check website for dates. Presented with Talking Leaves books. Weekday lunch is served in the Filling Station restaurant, a converted 1930’s filling station from the Larkin Soap. Co. featuring fresh, scratch made sandwiches, salads, pizzas, tacos and more! 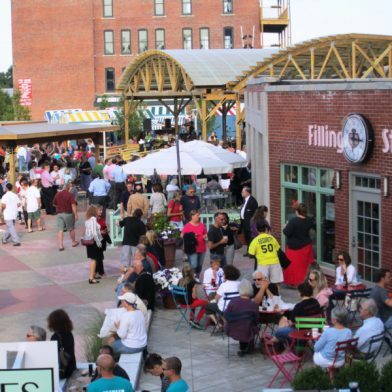 The Filling Station and Larkin Square are available for private events.